U.S. District Judge Vince Chhabria’s Thursday ruling came out partially favoring the university and partially favoring Douglas Shaw and Kirk Larson, two former UC Davis research scientists, on their dueling intellectual property, patent infringement and contract claims, which will go to trial May 15. Despite the mixed ruling, a university representative was optimistic. “We are pleased with the judge’s decision and look forward to the proceedings on May 15,” UC Davis spokesperson Dana Topousis said Friday. Shaw and Larson ran UC Davis’ strawberry breeding program for 22 years until they retired in 2014, forming California Berry Cultivars (CBC) to sell their strawberries commercially. CBC, with Shaw and Larson at the helm, expected to continue developing the UC Davis varieties using the same germplasm — stock strains of valuable genes — Shaw and Larson developed at UC Davis. The researchers sued the Regents of the University of California in Alameda County Superior Court last May for access to them. They were added as defendants to the federal lawsuit earlier this week. Shaw and Larson developed more than a dozen strawberry varieties at UC Davis that are grown throughout the world. In 2004, they released the Albion variety, known for its sweetness and high yield. It is the most widely planted strawberry in California today. 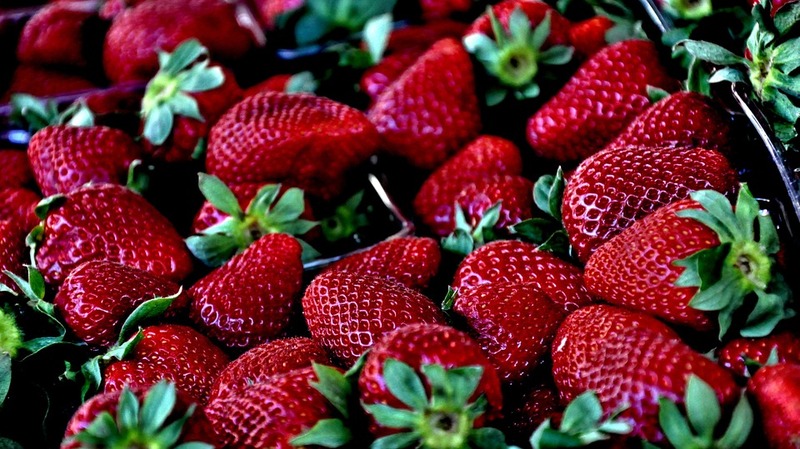 UC Davis’ top-ranked agriculture school has developed 56 varieties of strawberries since 1945. More than 80 percent of the strawberries grown in North America and more than 60 percent worldwide were developed at the school. California strawberries rake in $2.5 billion a year, making them the state’s fifth most-valuable crop. Shaw and Larson assigned their strawberry plant rights to CBC in 2016 after the university denied the company access to them. However, they had signed employment and patent contracts with the university, too, agreeing to disclose to it any plants they developed there that had the potential to be patented, and to assign their rights to the university for any of the plants it deemed worth patenting. The school says that based on those contracts, it owns the varieties Shaw and Larson invented. The researchers knew this, according to the school, so they concocted a scheme while still employees to use its plants to develop new varieties and sell them through CBC, in competition with the university. The school claims that in 2010, Shaw and Larson began sending certain varieties from its strawberry program to Semillas, a company in Spain that was one of the founders of CBC and a contractor for the university’s program, for breeding. Under agreements between UC Davis and Semillas, the plants can be tested in Spain before going to market, but they cannot be used for breeding. However, the university says Semillas harvested the seeds of the mother plants in Spain, and that CBC sent the seeds to the United States for use. The university contends that Shaw and Larson bred the seeds outside the United States to skirt U.S. patent laws. Chhabria held fast to that assertion Thursday, ruling in favor of the university on its claim that Shaw and Larson violated their agreements with it by refusing to sign over their rights to the strawberry plants. The judge reasoned that although the patent agreement didn’t automatically assign Shaw and Larson’s rights to the school, it did require them to sign over their rights if the school determined that the plants were patentable. CBC had argued that the proposed assignment agreement the university asked Shaw and Larson to sign required them to lie to the U.S. Patent and Trademark Office about the patentability of the plants, and that the university’s coercion justified their refusal to assign the rights. But Chhabria called CBC’s assertion “debatable.” Even if true, Shaw and Larson were still contractually obligated to assign their rights to the university, the judge found. In arguing that importing seeds derived from UC-patented plants isn’t infringing, CBC had insisted that seeds aren’t a “part” of the plant and therefore aren’t covered under the U.S. Plant Patent Act. The company reasoned that seeds are mostly comprised of genetic material that differs from their parent plants. But Chhabria didn’t buy that explanation, noting that the Plant Patent Act defines fruit as part of the plant. However, Chhabria took CBC’s side when it came to its breeding activities in Spain, agreeing that a patent-holder has no right to their patent outside the United States. “While we are disappointed and puzzled with some of the judge’s rulings, we do feel that the ‘bad faith’ ruling on the part of the UC is clearly a driver and reason why we are in litigation,” CBC president Kawamura said. In his order, Chhabria concluded that the university may have acted in bad faith when it sought patent protection for all 168 contested strawberry varieties to force Shaw and Larson to assign their rights to it, even after Shaw told university officials that there wasn’t enough information to file a patent application. However, the judge denied CBC summary judgment on its claim that the university breached the implied covenant of good faith and fair dealing by filing the application. He also ruled that CBC owns the intellectual property rights to the plants, but that UC Davis owns the tangible property rights to the plants in its possession. CBC is represented by Gregory Lippetz with Jones Day in Palo Alto. Rachel Krevans with Morrison & Foerster in San Francisco is representing the university. They did not return requests for comment Friday.